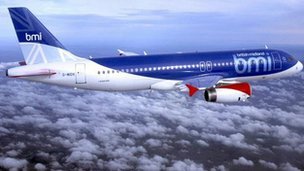 [BBC News] BMI Regional is launching as a fully independent airline, five months after being bought by a consortium. 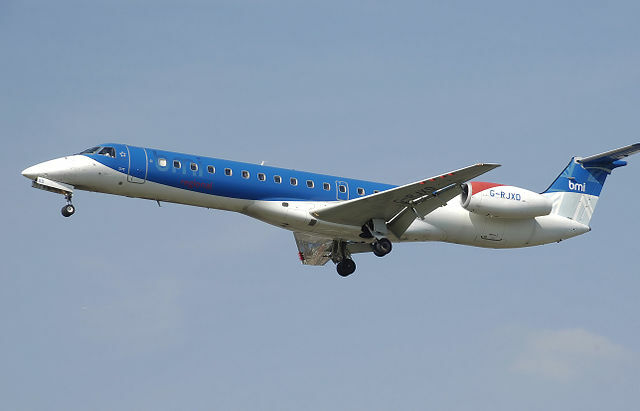 BMI Regional, which operates 18 Embraer jets on scheduled services as well as leasing and charter contracts in the UK and Europe, was bought for £8m by Sector Aviation Holdings (SAH). The airline is launching its own website and a new airline code – BM. 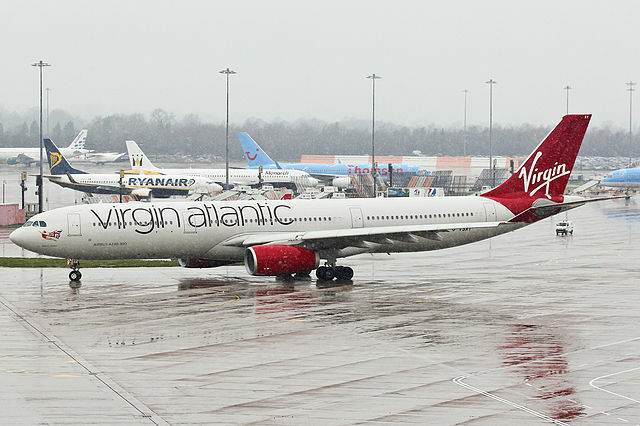 The airline’s head office is at East Midlands Airport but its operations base is in Aberdeen. SAH chairman Ian Woodley told BBC Scotland that it had taken five months of hard work to reach this point. “This marks another step forward for our business,” he said. “It is the end of what has been roughly 20 weeks of intensive work, where we have been basically recreating the regional airline as a completely standalone operation from what was – if you like to call it – its original mothership, which was BMI. “In some respects it would probably be easier to start an airline from scratch. 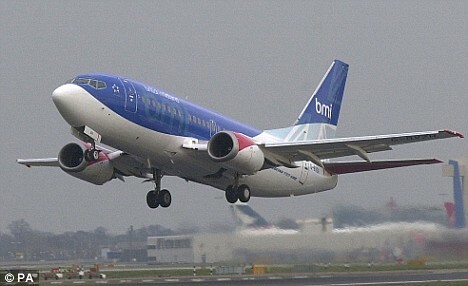 Mr Woodley, who founded BMI Regional’s predecessor Business Air in 1987 before selling it to BMI in 1996, said the process had involved severing all connections and then negotiating new contracts. He added: “We have also had to introduce our own entire global distribution reservation system, which some people in the industry liken to open-heart surgery. Mr Woodley said the company planned to keep the title BMI Regional – at least for the time being. Under the terms of its agreement with IAG, SAH will have full rights to the BMI name from April next year. He said: “At the moment we will continue with BMI Regional. “There is a bit of a decision to take in-house, and we are also going to……. 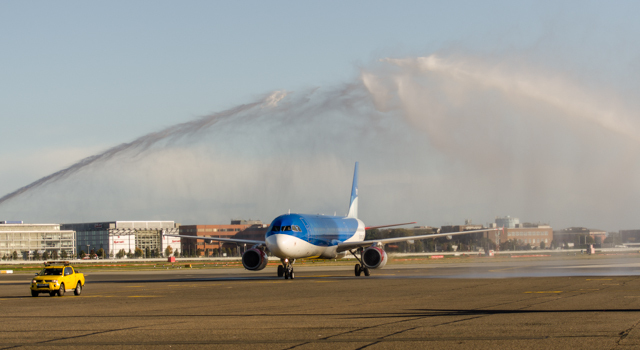 [Airport Informer] For many in the Heathrow community and across the aviation business, today was a litle sad, but there was also a reason to mark it as something very special as well, for it was the day that the last Bmi flight landed at the airport. British Midland’s long and illustrious history came to an end today following the arrival of its last commercial journey. Flight number BD928 inbound from Baku, the capital and largest city of Azerbaijan landed in Heathrow to a warm commemorative welcome at 10:30 this morning. The flight came in to a sunny if a little chilly airport and landed on Heathrow’s northern runway. With a history that spans over seven decades, British Midland can trace its roots back to 1938 when Captain Roy Harben established a school for training pilots of the Royal Air Force Volunteer Reserve and called it Air Schools Limited in that year. Roy Harben died in 1947 from a heart attack after forming a parent company called Derby Aviation Limited the previous year. His wife and a partner of her husband continued to run the business. For several years and incorporating the services of Wolverhampton Aviation, the company offered charter and freight services. In 1953 the company ceased flying training after it received a licence in to operate scheduled flights from Burnaston and Wolverhampton to Jersey. The following year Wolverhampton Aviation was merged with Derby Aviation. In 1956 the airline started international operations with a route to Ostend. By 1959 Derby Aviation rebranded to become known as Derby Airways, changing its livery at the same time. Finally the airline became known as British Midland Airways in 1964 after the purchase of a Manchester Airport based airline called Mercury Airlines. We would like to wish all those who worked for Bmi all the very best for the future. The airline may have ceased trading but it will not be forgotten. [Travel Weekly] Monarch Airlines Group has appointed two senior aviation figures to the company’s board. Former Civil Aviation Authority chairman Sir Roy McNulty and former head of British Midland (BMI) Austin Reid will join Monarch in July as non-executive directors. McNulty is currently deputy chairman of the Olympic Delivery Authority and a non-executive director of Gatwick Airport. He was chairman of CAA until 2009 after previously heading the air traffic control body, National Air Traffic Services (Nats). Prior to that McNulty ran Belfast-based aerospace company Short Brothers as chief executive and chairman. Short Brothers is now part of Bombardier. Austin Reid held executive roles at BMI from 1985 to 2005, heading the airline as managing director and chief executive for a decade. He is currently a non-executive director of SR Technics. 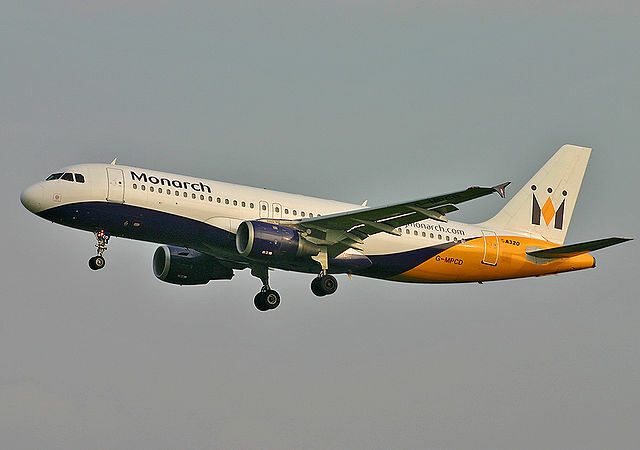 Monarch also announced the appointment of Richard Roth as group director of performance management and turnaround from today. Roth is former chief financial officer of private jet operator Royal Jet, based in Abu Dhabi, and has previously worked at easyJet. Iain Rawlinson, Monarch Group executive chairman, said: “These appointments significantly strengthen the governance and leadership team of Monarch as we continue to modernise the group and execute our turnaround plan. Read the original story at Travel Weekly…..
[Herald Scotland] The future of Aberdeen based BMI Regional has been secured after British Airways’ parent company agreed to sell it to a consortium of local businessmen for £8 million, creating Scotland’s biggest indigenous airline. The cash deal with Sector Aviation Holdings (SAH) safeguards flights from 14 destinations in the UK and Europe, together with around 330 jobs and is now awaiting approval by the Civil Aviation Authority. It follows the recent sale of the loss-making BMI by Lufthansa to International Airlines Group (IAG) for £807m, a deal that left the future of smaller subsidiaries BMI Regional and BMI Baby in doubt. The SAH consortium was led by Ian Woodley, who founded Business Air before it became BMI Regional after being sold to British Midland in 1996, and funded by Stephen and Peter Bond, part of the family behind Bond Offshore Helicopters who are also investors in Scottish airline Loganair. Ownership is expected to transfer to SAH within two weeks. A spokesman for SAH said it would initially operate under the BMI Regional banner but that further plans were yet to be announced. He said there were no plans for any job cuts. BMI Regional operates a fleet of 18 Embraer jets, each with a seating capacity of between 40 and 50, and caters mostly to the business market. Rival Loganair also operates 18 aircraft but with a smaller capacity. Read the full story at Herald Scotland…..
[BBC News] An Aberdeen-based consortium is closing in on a deal to buy the regional division of BMI, following the takeover of the larger BMI airline by British Airways owner IAG. Granite Aviation is in advanced talks with IAG over the sale of the division for about £20m. Aberdeen-based BMI Regional employs more than 300 people and operates 19 aircraft between smaller city airports. An announcement on a possible deal is expected in the next two weeks. If the regional deal goes ahead, Granite Aviation could take on the BMI brand when IAG stops using it on BMI’s mainstream services. [Reuters] British Airways and Iberia owner IAG will close two loss-making subsidiaries inherited from the acquisition of Lufthansa’s UK unit Bmi if it is unable to sell them, IAG’s chief executive Willie Walsh said on today. IAG last year agreed a 172.5 million pounds deal to buy bmi and plans to keep the traditional airline, but is struggling to sell the low-cost and regional divisions bmibaby and regional. “We are in discussions with parties interested in those airlines. We are ready to do a deal and capable of doing so, but if we don’t see any movement on selling them… then we will look to close those businesses,” Walsh said. BERLIN: German airline Lufthansa AG says it has completed a 172.5 million pound ($276 million) deal selling its loss-making British Midland Ltd. subsidiary to the parent of rival British Airways. Lufthansa said in a statement on Friday the sale to BA parent International Airlines Group took place after the close of business on Thursday.Lufthansa says it expects to lose money on the deal, but that the costs will amortize within a year and that the deal will ultimately strengthen its financial position. It says “price adjustments have been agreed as part of the transaction structure” and that the specific net purchase price will be determined at the end of the second quarter. Lufthansa and IAG announced an agreement in principle on the sale in early November…..
Read the original story at The Economic times…. Independant: By Friday BMI becomes part of BA’s Heathrow operation !! [Independant] Simon Calder: End of the runway for BMI, but will passengers suffer? What will it all mean for passengers – and staff? BMI could be about to vanish. British Midland, as was, has done wonders for UK travellers. But by Friday the Heathrow-based part of its operation is set to become part of IAG and will be subsumed into BA. What will it all mean for passengers – and staff? Remind me of the tangled history of BMI? It wasn’t easyJet that opened up the skies of Europe – it was British Midland. Under Michael Bishop (now Lord Glendonbrook), the airline demanded the right to compete against the established “flag carriers” in the 1980s – first of all taking on British Airways from Heathrow to Belfast, Edinburgh and Glasgow, then expanding into Europe. It helped break the cartel that kept fares prohibitively high. Sadly, for the past decade BMI has found it impossible to compete with no-frills airlines, and at present it’s losing £5 per second. Lufthansa, which is its very unwilling owner, has long been keen to offload BMI, and by Friday it should become part of IAG, the company that owns BA and Iberia of Spain. Last week BA revealed plans for assimilating BMI that will see nearly half the 2,700 staff lose their jobs. How are the job cuts decided? As is so often the case, it’s the back-office staff who will suffer most. BMI has the finest HQ in aviation, a stately home close to East Midlands airport called Castle Donington. But many of the functions carried out there, from marketing to finance, will simply be absorbed by existing BA departments with little room for staff to be tranferred. Survival prospects are highest for front-line staff at Heathrow – 1,100 ground staff, cabin crew, pilots and engineers will find that they are working on planes with a different livery. If BMI is such a basket case – why is BA taking it over? One word: slots. Because BA is already by far the biggest airline at Heathrow, it can extract the maximum value from the precious permission to take off and land at the world’s most congested airport. The takeover will win it an extra 56 pairs of slots a day, but BA is likely to surrender a quarter of those in return for the deal getting past competition regulators. That is not enough for Sir Richard Branson, president of Virgin Atlantic, who has vowed to fight the deal “in order to protect the millions of passengers who will see their options reduced by the takeover”. What does it mean for passengers?…. Read this excellant study of Bmi’s takeover by Simon Calder at The Independant….